Hello! I'm back with another card that I made with this month's Taylored Expressions Stamp of the Month-Bright Boutique and the coordinating Hi, Hey, Hello Dies. I went very CAS this time:) I simply cut a circle out of Choice Snow White cs and backed it with some Echo Park Paper We Are Family dp. 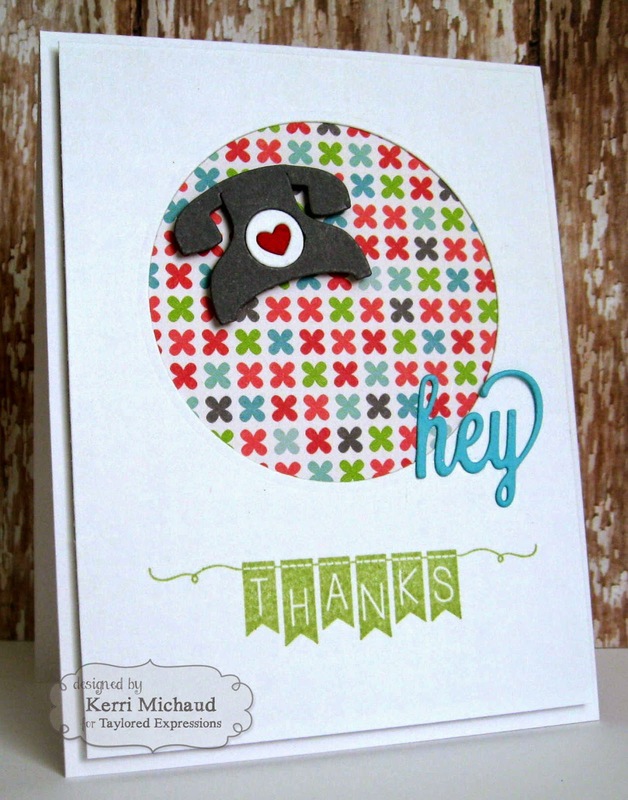 I cut out the phone and the "hey" using the Hi, Hey, Hello Dies and stamped the "thanks" using the Bright Boutique stamp set. So simple! I then used Foam Tape to pop up the top layer of the card. That's it for me today! I hope you guys have a great Thursday and thanks for stopping by! So adorable! I love your card, too cute!